Terrific opportunity in Prospect for those looking for a quieter lifestyle. This well appointed townhome in Hunting Creek is a must see! It is centrally located on a quiet cul-de-sac with only 21 other townhomes. You will find tranquil views on both sides of the street. On the back side is the first hole of Hunting Creek Country Club and across the street is a peaceful, wooded area. 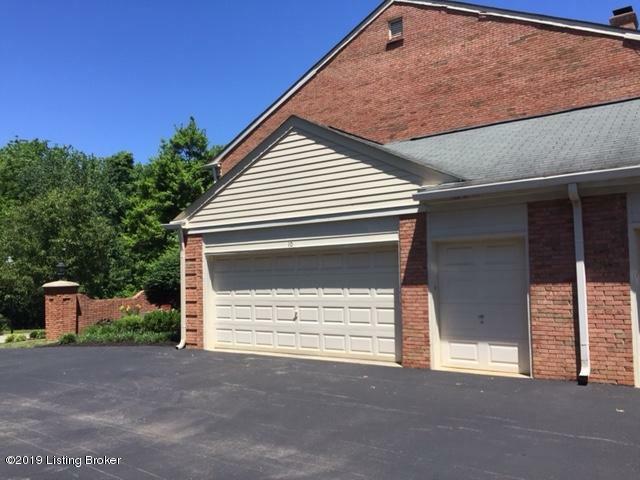 This *3 Bedroom, 3.5 Bath end unit property has an attached 2.5 Car Garage, with room for a golf cart and plenty of storage. *4th Bedroom available in basement but does not have proper egress, so can't officially be called one. As you enter into this traditional 2-story, you will be greeted by an updated entryway. To your left is an area currently used as the formal dining room. This space has previouslybeen used as a den/study area. 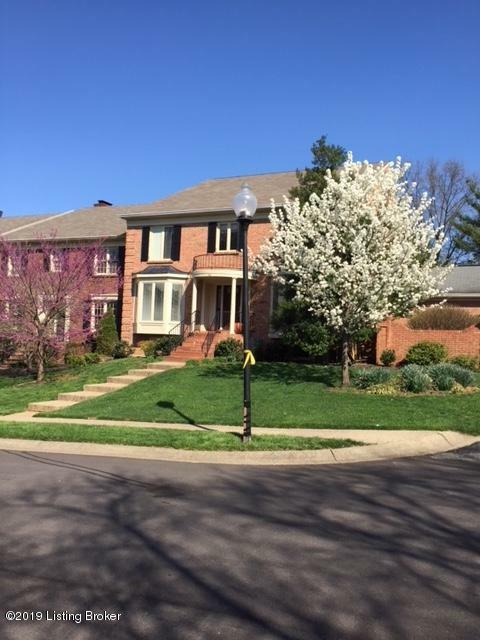 Off to the right side of the foyer, you will enter into the remodeled kitchen with soft-close Cherry Cabinetry, beautiful Quartz Countertops, and Hardwood flooring. Additionally, there is a stainless steel GE Profile Advantium Convection Oven and GE Profile Induction Cooktop. There is an abundance of accent lighting and a nice breakfast area facing the wooded area out front. The back side of the kitchen opens nicely into the large Great Room! The Great Room offers a large entertaining area complete with hardwood flooring, a fireplace, a large built-in bookcase and a wet-bar. There are also two large, sliding door entries to the private, stone patio and backyard. The patio has a covered area that is great for an evening meal and/or beverage while looking out over the mature landscaping and views of the golf course. 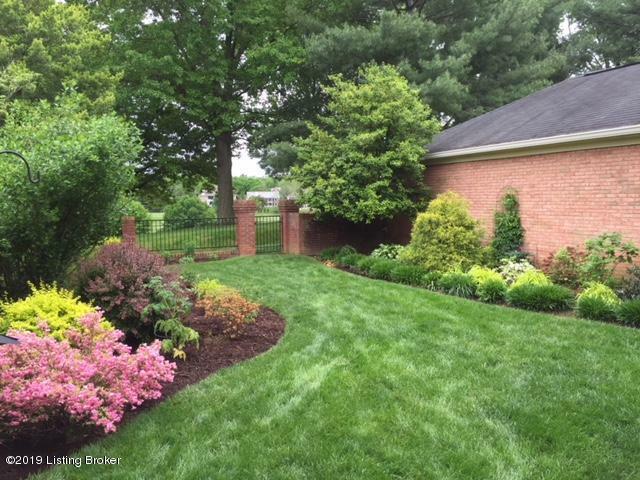 The backyard is totally enclosed, but does have a single gate entryway to the golf course side of the property. Heading back inside, while in the foyer, the stairwell will take you up to the 3 Bedroom areas. The 2 regular Bedrooms are of decent size and offer walk-in closets. You will also find two linen closets in the hallway and a large, nice looking tiled guest/full bath. The Master Bedroom area is very spacious! It also offers his and hers private, walk-in closets and a large bath area with a double sink vanity and a double shower. An addition wow factor off the master bedroom is the all-season Florida room, that stretches out across the upper backside of the townhome. This space is currently being used as an office and sitting area. It overlooks the backyard area and has views of the golf course. 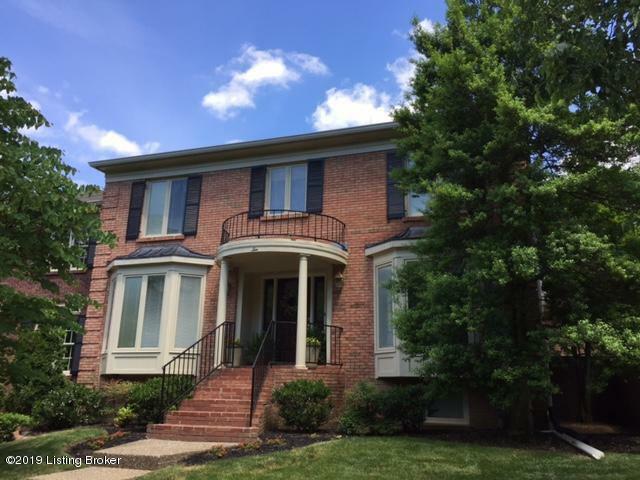 The nicely finished Lower Level has a lot to offer! This would make a wonderful mother-in-law or guest suite! It offers a large, second family room, a large *4th bedroom, (see note above), another tv/game room and a full bath. There are also several closets found in the basement that allow for ample storage. Riding Ridge is one of the most popular streets in the subdivision. This is a great place to call home! Call for your private showing today!